Once you have found a good domestic helper, it is your job to assist them in doing their job in an organized manner. Right from cleaning rugs, glasses, baby-sitting to cleaning kitchen cupboards and dining table, domestic chores are never- ending. They are to be performed daily, while keeping up on time. 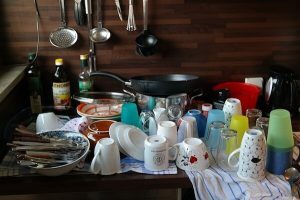 Assisting your domestic helper organize cleaning work will work out for both of you, so follow the below mentioned tips that aid you in having a clean home. If you have multiple rooms in your house, go through every room and let your domestic helper know what needs to be cleaned in each one of them. Yes, you need to spend some time to prioritize tasks, this will help your domestic worker meet/ exceed your expectation. Ultimately, it is you who will be happy! If you want to put your baby to sleep, get the bedroom cleaned first or there may be times when you have invited some of your friends for lunch and you want your domestic helper to clean the kitchen and the dining table as a priority. Schedule work of your helper and get your home cleaned as you want. By devoting some of your time, your helper will also find it easy to do her job. Moreover there will be little or no room for misunderstanding/ friction between you and your domestic helper. This is what you are looking for too, aren’t you? Once you are clear on what needs to be cleaned, prepare a schedule on how frequently you want it to be done. For instance, you may want the floors to be mopped every day while requiring your guest room to be cleaned once a week. So, group tasks for your domestic helper by frequency. If you want best results, set a schedule. What needs to be cleaned and how often is to be specified by you clearly. Make things consistent by letting your helper know exactly what you are expecting. Remember a healthy professional relationship with your domestic helper can make your home tidier. It is also better if you write down the schedule, to make it more clear and understandable. Try to build rapport. Give an opportunity for your domestic helper to come up with her ideas on changes that may be incorporated to get better results. If your domestic helper is happy, you will have a clean home for sure! A regular review is also a great idea, work together to change plans as and when needed. Sometimes your helper may have a better idea than you, why not adapt when you can benefit from the changes? It is the cleanliness of your home that matters after all! 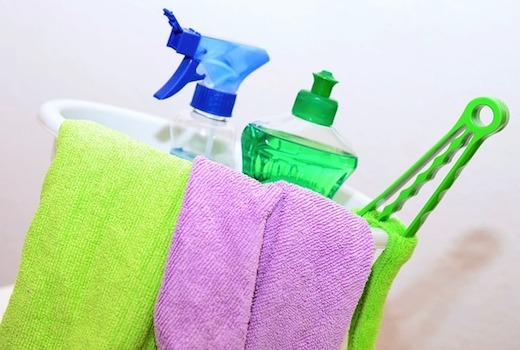 What if your domestic helper is sick and cannot perform the cleaning as per schedule? You definitely need to be flexible in such circumstances. Change the schedule for the week, give her rest, and ask her to do the jobs scheduled for the week once she returns to normalcy. By doing so, you are not only being humane, but gaining the loyalty of your helper too. If you are flexible, your helper is more likely to continue with you. She will also show more interest in doing your house chores as she was taken care of when sick. Ultimately, it must be a win- win for both of you, it all depends on how flexible you are! Do you want your domestic helper to clean your entire home or stay away from a particular space? Do you like cleaning your study by yourself? Any preference to organize things in your kids’ room by yourself? Each one of you might be having your own set of rules for your home, so make it clear to your helper on the do’s and don’ts on the first day of her duty. This will avoid disappointments and arguments later on. This may also apply to the usage of a particular item in your house. It is your responsibility to make the terms clear. However this must not be abusive or lead to friction or go against the legal terms of the contract. Organizing things is an art. You need to master it if you want a clean home, this will also create a positive atmosphere and makes living happy and comfortable. Do not think it is completely your helper’s duty to organize cleaning. It is a wrong notion. If you are to be satisfied with her job, take some time out to mention what your expectations are and how you want your home to be cleaned. A written schedule goes a long way in attaining perfection, but as said earlier, your helper is not a robot and flexibility also matters. Once you are ready to assist your domestic helper organize cleaning work, you will certainly enjoy the results. Over a period of time, organizing will require minimum intervention of yours as it will be a routine. However, priorities change sometimes, and you need to intervene to get things right. Assist your helper and enjoy living in a tidy home!